Italy School Performing Arts trips: The activ4 performing arts programmes in this fabulous region of Italy have been a great success for a number of reasons. Our School Performing Arts trips to Italy are so popular simply because of the quality of our tutors. Many are requested by party leaders year after year and help in a range of capacities. They create bespoke pieces used in coursework as well as help direct innovative group productions. The tutors on our Italy School Performing Arts trips are true experts in their field. Secondly, our Italy School Performing Arts trips are a great success due to the composition of the programme. Apart from the fabulous workshops, visits can include exciting trips to Verona with its amphitheatre and Shakespearean overtones. We also visit the unique city of Venice with its canals, gondolas and magnificent architecture. There are also the beautiful lakeside towns of Peschiera and Sermione as well as Gardaland which we are reliably informed is the 8th most popular theme park in Europe. The lake itself is fringed by small towns and Garda itself is on the eastern shore with its cobbled streets and pretty shops. Peschiera which is close to the Paradiso and Belvedere hotels is a quaint little fortress town dating back to the 1400’s. It has a lovely lakeside promenade and marina which are simply perfect on a summers evening. The Lake Garda area provides a great base for discovering Milan and all it has to offer; The magnificent La Scala opera house, fashion shopping in La Galleria, the magnificent spectacle of Il Duomo and the historical castle. The cultural centre of the region, Verona is even closer with its spectacular Roman amphitheatre and its Shakesperian overtones with Juliet’s Balcony. 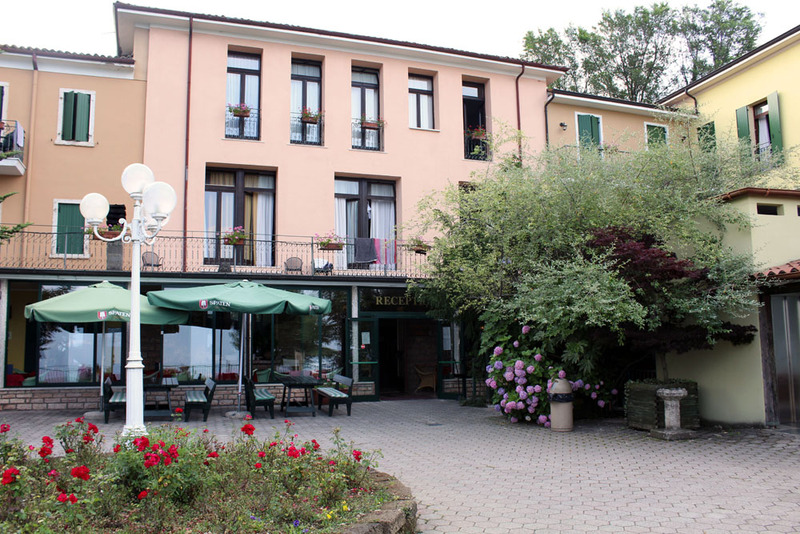 Park Hotel Jolanda is built on the remains of an ancient monastery, featuring panoramic views of the incredible Lake Garda, and easy access to the picturesque lakeside towns of Garda and Bardolino. All rooms are spacious, comfortable, and fitted with modern conveniences. There is also an indoor pool and tennis courts with a view. The Jolanda hotel is a popular place for weddings and the function room located by the Spa and swimming pool provides an ideal meetings and evening entertainment. Depart from school and head to Dover where you will cross the channel to Calais travelling overnight to the resort of Lake Garda.Make sure you take your favourite DVDs with you to enjoy throughout the journey! The lake is the largest in Italy, located in the North of the country situated between Venice and Milan.School groups have been coming to the resort for a number of years which is a testament to how much it has to offer. On arrival at the hotel your group will be met by a member of the activ4 resort team who will assist you with check in to ensure there are no problems. The lake is the largest in Italy, located in the North of the country situated between Venice and Milan. The Parc Paradiso is one of our most popular destinations – because it has just so much to offer! Fantastic accommodation and facilities, it has 6 swimming pools, 2 grass pitches, 1 synthetic pitch, tennis courts, a gym as well as an 18 hole golf course. It is near the village of Peschiera which is a pretty village situated on the Lake. As with all areas of activ4 programmes, evening entertainments will be carefully planned for your group and you can round off your first day with a quiz night. You will start each day with a buffet breakfast before your activities begin. Workshops will take place during the morning and afternoon and we have a variety of fantastic facilities for our performing arts groups’.The ‘New Gym’ is a fully air conditioned, sprung floor and mirrored studio and one of the top facilities we use. Prior to departure your professional activ4 tutor will have discussed the design of the programme your students will receive and this morning work starts in earnest. Our tutors are all experts in their field and regularly travel throughout the world as performers or choreographers. As with all areas of the activ4 programme, evening entertainments will be carefully planned for your group and many groups like to round off the evening with a visit to Benacus Amusement Arcade where you can enjoy the many activities on offer including the video games and laser tag! Today you will visit one of the most exciting cities in Europe,Milan. You can start with a visit to the world famous Teatro alla Scala (Milan Opera House).We can book a fabulous behind the scenes tour of the building and design workshops, the practice rooms for the chorus, the orchestra pit and more, finishing with the opera house museum. No day would be complete without setting aside time to visit the world renowned Quadrilatero d’Oro shopping area that is made up of 4 streets which is where all the designer labels will be found in the ‘fashion capital’ before a visit to ‘La Galleria’ shopping area where you will be sure to find a treat or two as well as plenty of bars to sit and enjoy a traditional Italian coffee! After this exhilarating day you may decide on a traditional Italian pizza night in Peschiera. A quaint little fortress town steeped in history dating back to the 1400’s with shops, cafes, restaurants and narrow winding cobbled streets. Many of our tutors perform at the West End, some run their own companies and they come ready to develop all the themes that you have discussed prior to leaving the UK.Often, schools wish to use the opportunity for intensive tuition to develop either examination or performance pieces. It is also a great opportunity to bounce ideas around. Then we head over to Verona; a Roman city which has many historic places of interest including the Verona Amphitheatre dating back to AD30, which can be entered for just €1.00pp, andJuliet’s famous balcony. 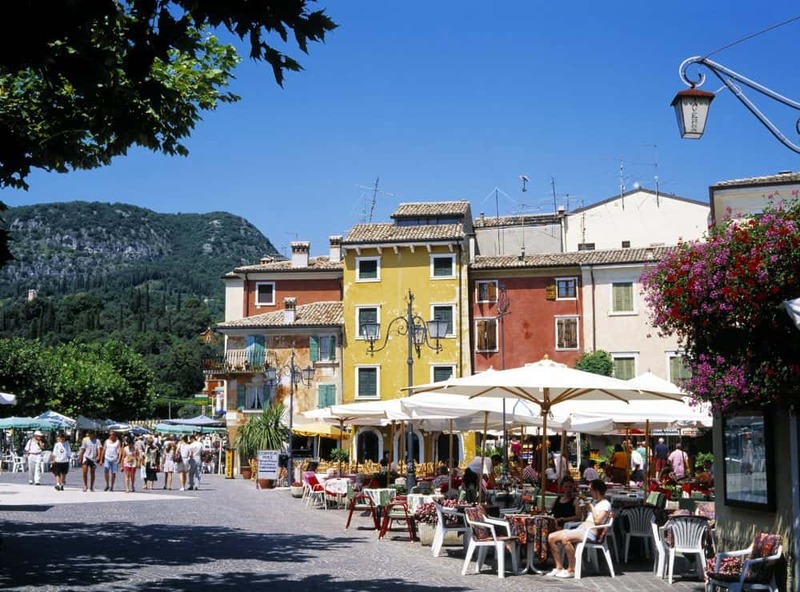 Visit Piazza delle Erbe which is great for shopping and gelato. After dinner on the last night many groups like to have an area set aside for a presentation evening bringing everyone together and recognising improvement and dedication throughout the tour.